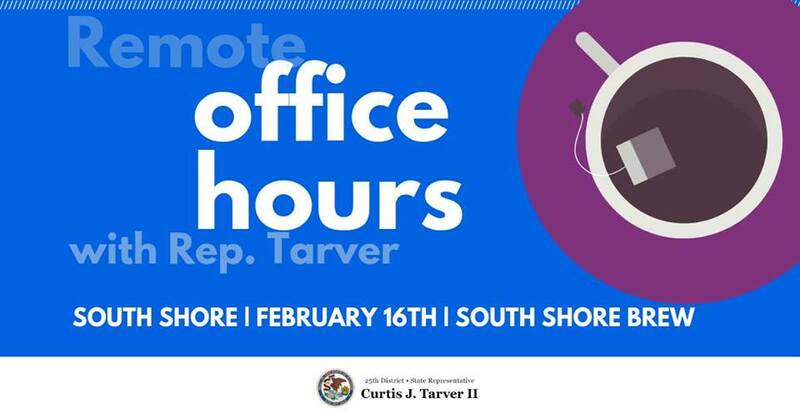 Join Representative Tarver for remote office hours on Saturday, February 16th from 1130AM-130PM. Rep. Tarver will discuss updates from Springfield, his legislative agenda, as well as any constituent concerns/questions. We are excited to host our first remote office hours at the new South Shore Brew coffee shop in the South Shore community. Please join us and support local businesses.